My left eye gives me considerable trouble. It has been painfully weak, and the pain in my cheekbone has caused me much anxiety. I think I told you that about a year ago I had a fall. I was filling a tin milk-pan with oranges for brother McCann, and when I rose from my stooping position, and attempted to walk, I saw that I was falling face downward, into a pile of small, sharp stumps, which has been brought there for fuel. 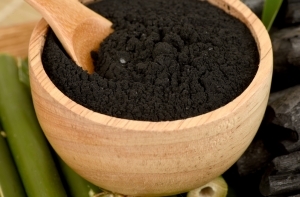 One of the most beneficial remedies is pulverized charcoal in a bag and used in fomentations. This is a most successful remedy. If wet in smartweed, boiled, it is still better. I have ordered this in cases where the sick were suffering great pain and when it has been confided to me by the physician that he thought it was the last before the close of life. Then I suggested the charcoal, and the patient has slept, the turning point came, and recovery was the result. To students, when injured with bruised hands, and suffering with inflammation, I have prescribed this simple remedy with perfect success. The poison of inflammation is overcome, the pain removed, and healing goes on rapidly. The more severe inflammation of the eyes will be relieved by a poultice of charcoal, put in a bag and dipped in hot or cold water as will best suit the case. This works like a charm. I expect you will laugh at this; but if I could give this remedy some outlandish name, that no one ln1ew but myself, it would have greater influence. -Letter 82, 1897. ( MS. 162, 1897, Similar to this). I feel that the ice used is a mistake. The light which has been given me in reference to several critical cases has been represented to me as a sick child I had in charge, and in every case the directions given were: Do not apply ice to the head but cool water; but apply hot fomentations to the bowels, stomach and liver. This will quell the fever much sooner even than cold. The reaction after the cold applications raises the fever, in the place of killing it. This direction has been given me again and again. In some cases, the ice applications may be warrantable, but in most cases they are not advisable. If the invalid has any vitality, the system will send the blood where the cold is, and very often, the system has no power for this taxation. Bro --- has low vitality. Some cases may endure other kind of treatment, but I greatly fear for Bro. ---, if it is continued. Use hot water. In nine cases out of ten it will do a more successful work than the cold ice would do... I send you at this time pulverized charcoal. Let him drink the water, after it has stood a while to extract the virtue. This should be cold when used. When used for fomentations over the bowels, the coal should be put into a bag, sewed up, and dipped in hot water. It will serve several times. Have two bags, use one, and then the other. -Letter 122a, 1897. One of the most beneficial remedies is pulverized charcoal, placed in a bag and used in fomentations. This is a most successful remedy. If wet in smartweed tea, it is still better. I have ordered this in cases where persons were suffering great pain, and when the physician has confided to me that he thought life was about to close. Then I suggested charcoal; the patient slept; the turning point came, and recovery was the result. For bruised hands with inflammation, I have prescribed this simple remedy, with perfect success. The poison of inflammation is overcome, the pain removed, and healing goes on rapidly. The most severe inflammation of the eyes is relieved by a poultice of charcoal, put in a bag and dipped in water, hot or cold as will best suit the case. This works like a charm. -MS. 162, 1897. Medical practitioners have experimented on the eyes, and in so doing, have not only forever weakened the strength of the delicate organs, but the injury done has extended to the brain, through the nerves connecting the eye with the brain. I have positively refused to use anything but hot water with a little salt, or pulverized charcoal put in a bag, and dipped in hot or cold water, as is most agreeable. Let there be no meddling with the eye. Use only the most mild applications. -Letter 37, 1898. Brother Thompson's son was one of these. He brought his boy to Cooranbong with a swollen knee. The lad had fallen on a stone, and the knee was seriously injured and much enlarged. The doctors had attended him, but had done him no good, and he was then going about with a crutch. to health. We thank the Lord for this. -Letter 72, 1898. I have had both Sister Starr and Sister Harlowe with me for three weeks, and no meat or butter has been placed on my table. Nothing to drink except cold water appears on my table. All have decided that it is for their health to use as little liquid food as possible. Both Sisters Starr and Harlowe slept well. I took them out to ride often, over rather rough roads, and both have greatly improved in health. Sister Harlowe was paying twelve shillings a week for room and board in the city. I brought her to my country home, and she has lost her headache. We have had her now about two months. I ask her nothing for board. I want her to get well. Sister Harlowe has been an invalid for sometime, in consequence of her internal organs fastening to the backbone. She has been proprietor of a large dressmaking establishment. In this business her difficulties developed. Her head suffered because of stomach difficulties and the trouble I have mentioned. She came to the Health Home, and took treatment for a while. All her friends, father, mother, brothers, and sisters are unbelievers. We thought best to have her come to my home. I dared not place her in any other family, fearing that they would not know how to help her, and would allow her to do too much. Here she rides on horseback and does a little sewing. She is improving in health so much .that we have hopes that she will be able to educate a class in school in the science of sewing properly. This is the one who was advised to eat meat and butter. She uses neither. She has plenty of milk and cream from cows which we keep in as healthy a condition as possible. I am raising my own stock. Sister Harlowe has not had any kind of medicine but charcoal soaked in water. She drinks this water, and is doing excellently without meat or butter, tea or coffee. -Letter 84, 1898. I would advise that the charcoal compress be worn only occasionally. 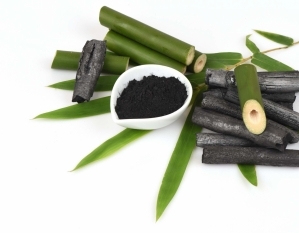 If you should drink charcoal water, it would not do you any harm. The charcoal itself may be a little irritating to a stomach as sensitive as I judge yours is. Use your own judgment, and trust in living faith to God as you work. You must come to the position where you realize that the Lord does not want you to be sick. The Lord would have you well. Make up your mind to be well. Do not eat vegetables but make arrangements to have the best home-made bread and fruit. Do not taste of any bread that is sweetened. You must be careful, and then trust in God, believing that He wants you to be healed. He is the only true, unerring physician in the world. He loves us, and wants us to be well and happy. -Letter 92, 1898. But Brother --- health has been sacrificed to earnest, continuous labor. In his zeal and earnestness he has lost sight of self. He wishes to converse with me, but what an offensive breath he had. I tried not to inhale it, but I think I did for I was taken sick like one poisoned. I talked with him seriously, and told him that he had been doing great injury to himself. I told him that for the last twenty years the Lord had been giving me messages to give to our ministering brethren, and to students who were preparing to give Bible readings and to become canvassers. The Lord would have them take care of themselves as faithful sentinels. I think much of Brother ---, but he has made a mistake in feeling that he must do all the work he could possibly accomplish. At times he would become so weary, that he could not eat as he should, and would take food that was wholly unfitted for his wearied condition. He kept late hours, and often did not get to rest before eleven or twelve o'clock at night. This irregularity was seriously felt by his wife. She was nervous, and was losing her health and vitality. I showed him that these habits had been all wrong, that he must call a halt. I told him it was necessary for us to know ourselves. I said, You are now a sick man, and you feel your need of a physician. We are not wise in the knowledge of others, and we know that in our own individual selves there are great deficiencies. The wisest have to learn their lessons by patient experience. You have been unaware how weak and unwise you are. Now you must be made to feel that you have not treated yourself as you should, but have disregarded the laws of health by your terrible neglect of yourself. Something must be done. That offensive breath must be purified. Get pulverized charcoal, soak it in water, and drink this water freely. Eat no vegetables. Eat fruit, and plain well-baked bread. Take light exercise, and at night, wear a charcoal compress over the liver and abdomen. -Letter 115, 1898. On Thursday, Sister --- was called to see if she could do anything for Brother --- little son, who is eighteen months old. For several days he has had a painful swelling on the knee, supposed to be from the bite of some poisonous insect. Pulverized charcoal, mixed with flaxseed, was placed upon the swelling, and this poultice gave relief at once. The child had screamed with pain all night, but when this was applied, he slept. Today she has been to see the little one twice. She opened the swelling in two places, and a large amount of yellow matter and blood was discharged freely. The child was relieved of its great suffering. We thank the Lord that we may become intelligent in using the simple things within our reach to alleviate pain, and successfully remove its cause. -MS. 68, 1899. Sister --- is nurse and physician for all the region round about. She has been called upon to treat the most difficult cases, and with complete success. We have at times made our house a hospital, where we have taken in the sick and cared for them. I have not time to relate the wonderful cures wrought, not by dosing with drugs, but by the application of water. 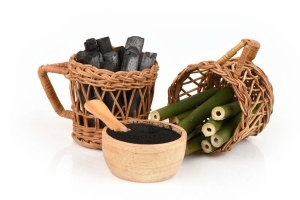 We use charcoal largely, making it into poultices. It destroys the inflammation, and removes the poison. We are teaching the ignorant how to become intelligent and keep well. -Letter 74, 1899. A brother was taken sick with inflammation of the bowels and bloody dysentry. The man was not a careful health reformer, but indulged his appetite. We were just preparing to leave Texas, where we had been laboring for several months, and we had carriages prepared to take away this -brother and his family, and several others who were suffering from malarial fever. My husband and I thought we would stand this expense rather than have the heads of several families die and leave their wives and children unprovided for. Two or three were taken in a large spring wagon on spring mattresses. Always study and teach the use of the simplest remedies, and the special blessing of the Lord may be expected to follow the use of these means which are within the reach of the common people. -Letter 100, 1903. Get from the druggist some pulverized charcoal, and use it freely. Mb: it with sweet oil. Thus it can be taken with less difficulty than if mixed with water. I think .that you would obtain benefit from the use of charcoal compresses, pulverized charcoal moistened, put into a flannel bag, and placed over the affected part. When my husband was sick, I had recourse to many remedies, and I know the value of charcoal as a healing agency. I have worked for my husband with marked success when his life was in grave peril. I did not want a physician for him; for I knew that I had tact and skill, and that with faith in God I could be his physician. -Letter 1t, 1904. I wish to ask you if you have tried the charcoal for Brother --? I think I wrote you about it sometime ago. Take pulverized charcoal, wet it, and put it on as a poultice. The charcoal possesses a wonderful power of drawing poison from the system. -Letter 326, 1906. I feel impressed to recommend for your consideration the use of charcoal as a powerful agency for removing poison from the system. I have on several occasions been impressed to suggest the use of charcoal, and it has often brought relief when every other means had failed. When we were in Texas, one of our neighbors was taken sick because of imprudence in eating. The organs of excretion failed to act properly, and his system was poisoned. He was in terrible agony. His family sent for me .to come and pray for him. Then it was impressed upon my mind to send someone to the blacksmith's for charcoal, pulverize it, and place it as a poultice over the entire abdomen. This was done, and the effect produced was wonderful. This brother had intended to be one of a party to go with a number of teams through Texas, but because of his illness he was left behind. The next day, however, as we were resting, we looked back, and saw a team crossing the ferry. When it came nearer we saw with it our brother who had been so ill.
On several other occasions, I have seen the charcoal poultice tried with favorable results. -Letter. 158, 1907. 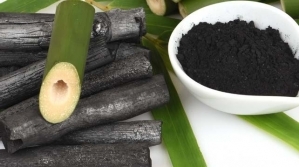 THE USE OF CHARCOAL FOR INFLAMMATION, INSECT BITES, ETC. On one occasion a physician came to me in great distress. He had been called to attend a young woman who was dangerously ill. She had contracted fever while on the camp ground and was taken to our school building near Melbourne, Australia. But she became so much worse that it was feared she could not live. The physician, Dr. Merritt Kellogg, came to me, and said, Sister White, have you any light for me on this case? If relief cannot be given our sister, she can live but a few hours." I replied, Send to a blacksmith's shop and get some pulverized charcoal, make a poultice of it, and lay it over her stomach and sides." The doctor hastened away to follow out my instructions. Soon he returned, saying, "Relief came in less than half an hour after the application of the poultices. She is now having the first natural sleep she has had for days." I have ordered the same treatment for others who were suffering great pain, and it has brought relief, and been the means of saving life. My mother had told me that snake bites and the sting of reptiles and poisonous insects could often be rendered harmless by the use of charcoal poultices. When working on the land at Avondale, Australia, the workmen would often bruise ,their hands and limbs and this in many cases resulted in such severe inflammation that the worker would have to leave his work for sometime. One came to me one day in this condition, with his hand tied in a sling. He was much troubled over the circumstances; for his help was needed in clearing the land. I said to him, "Go to the place where you have been burning the timber, and get me some charcoal from the eucalyptus tree, pulverize it, and I will dress your hand." This was done, and the next morning he reported that the pain was gone. Soon he was ready to return to his work. I write these things that you may know that the Lord has not left us without the use of simple remedies which, when used, will not leave the system in the weakened condition in which the use of drugs so often leaves it. We need well trained nurses who can understand how to use the simple remedies that nature provides for restoration to health, and who can teach those who are ignorant of the laws of health how to use these simple but effective cures. -Letter 90, 1908. "For several days he has had a painful swelling on the knee, sup:vosed to be from the bite of some poisonous insect. Pulverized charcoal, mixed with flaxseed, was placed upon the swelling, and this poultice gave relief at once." -Mrs. E.G.White Dairy, April 25, 1899.